LOUIS WAISBAN was born in Russia in April of 1885, the son of Julius and Hester Waisban. His father came to America in 1892, and brought his wife and family over in 1894. When the Census was taken in 1900 the Waisban family was living in Philadelphia at 936 South 2nd Street, where Julius Weisban ran a saloon. Besides Louis, at home were older siblings Jacob and Bessie, and younger siblings Abraham, David, Hester, and Harry. 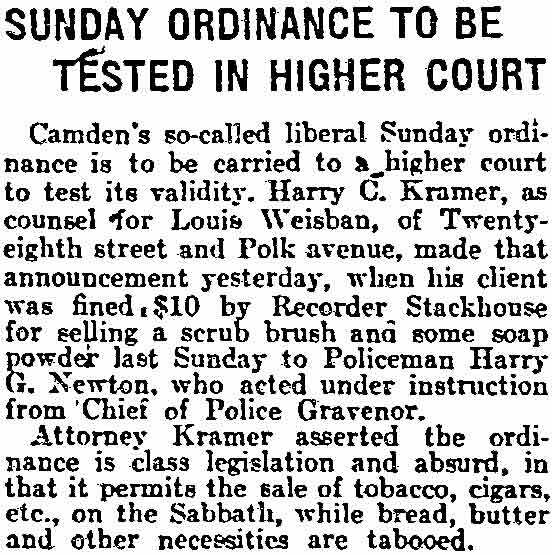 Louis Weisban was already in the business world, listing his occupation as a "dealer" of "notions". He moved to Camden shortly after the Census was enumerated, and became involved in the wholesale paper industry. The 1910 Census found Louis Weisban boarding with ther family of Samuel and Minnie Siegel at 1247 South 4th Street, near the corner of South 4th and Mechanic Streets, where Samuel Siegel ran a grocery. 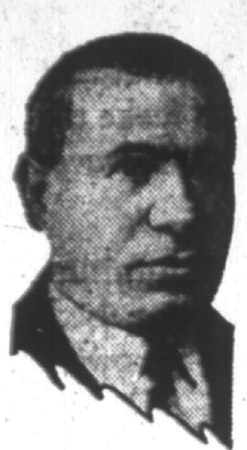 The Siegel family eldest daughter, Rosie Siegel became Louis Weisban's wife shortly after the 1910 Census was enumerated. He was by this time gone into business for himself. in Cramer Hill, the Hawk family at 1202 North 28th Street and the Frett family and 1208. 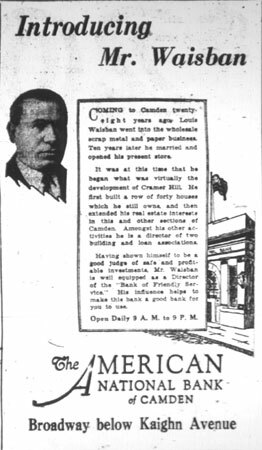 Louis Weisban soon went into real estate and banking, building a row of 40 homes on one street in Cramer Hill which he rented out. 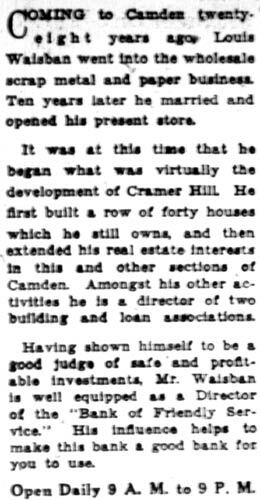 He was involved with two building and loan associations, and in the February of 1928 became a director of the American National Bank on Broadway in Camden. By April of 1930 Louis and Rose Waisban were the parents of three children- daughters Gertude 18, and Olga, 16; and a son, Sherwin S. Waisban, aged 7. The family then resided at 2800 Polk Avenue in the Cramer Hill section of Camden. At this time Louis Waisban was running a retail store, according to the federal census sheet. Louis Waisban died at the age of 58 on July 18, 1941. When the 1947 City Directory was compiled, his widow Rose was conducting a grocery store at 2800 Polk Avenue. Gertrude and Sherwin Waisban were still living at home, Gertude was then working as a beautician. Rose passed away on May 4, 1948. They are buried side by side at Crescent Burial Park in Pennsauken NJ. The Waisban children do not appear in the 1956 New Jersey Bell Telephone Directory for Camden County. Standing committees were appointed by Mrs, Lillian C. Miller, president of the Ladies Auxiliary of Independent Progress Lodge at a recent meeting in Talmud Torah, 621 Kaighn avenue. They are: Trustees—Mrs. Abraham Rosenkranz, Mrs. Isadore Janofs and Mrs. Nathan Soloff. Refreshments — Mrs. Isadore Ross, Mrs. Nathan Seloff, Mrs. S. Pechter and Mrs. I. Bornstein, Mrs. Herman Weintraub, Mrs. Emil Wise and Mrs. Joseph Miller. Telephone—Mrs. Herman Zelmich, Mrs. Julius Kunove, Mrs. Bernstein and Mrs. Samuel Miller. 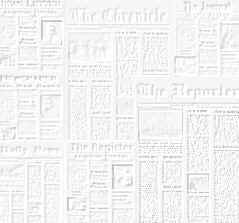 Program—Mrs. Charles Miller, Mrs. Joseph Cooper. Visiting — Mrs. Louis Waisban, Mrs. Rosenkranz, Mrs. M. Wachstein, Mrs. Jacob Hyman, Mrs. Isadore Polnick, Mrs. Weintraub, Mrs. Wise, Mrs. Esther Donien, Mrs. Isaac Janov. Publicity—Mrs. Joseph Cooper.